WE ARE READY FOR THE BIGGEST PACK OPENING IN OUR RTG HISTORY! My plan is to post the best packs and resulting squad or squads so sadly you won't get a full look of who we have but I don't fancy Screenshoting so many packs tomorrow will either make me so glad I did this or hurt my soul! Question is will we pack a OTW? Pack stack looking juicy for OTW's tomorrow there bud! Think you've made the right choice personally in picking the untradable packs, you'll pick up plenty of players with loyalty who'll be great SBC fodder going forward, and twice the chances of hitting a top pull too. You should write a blog. Lol. Your level of documentation and fan engagement is ridiculous. Wait. . . .you should VLOG. Do you stream any of this stuff? You should seriously think about it, haha. If you're XBOX you could do it through their streaming thing - its super easy! Good luck with the packs!! Good luck with the packs!! Hoping for a great pull!! Maybe at some point can’t stream the pack opening today though sadly! I'm not going to be around this evening so I'll miss the pack opeing anyway, but look forward to seeing your OTW Ronaldo soon! There is a lot to cover in this post so if it does not make sense do say! The club has learned from its previous mistakes and signed a goalkeeper we can trust early on if I tell you in our search for players we only found ONE Walkout, A lot of you will be disappointed but lets look at the positives. We have a keeper to move forward with for many many games a Premiership Winner and a player who can install a winning mentality into the squad. I have not sold anything yet so I don't know what currently the full club finances are and there are a lot of players you won't have seen but obviously not what I would call great players: above is our best team team I could put together it took me ages to get our best players in and the team on 100 chem! but it does raise the Lucas question? Just to clarify will move Deulofeu to LF and Lucas at RF with the correct manager the team does get 100 chem. We also have Hulk so a Pato away from a Brazil front three. Now I might be better off selling the players I would use but as we all know FUTBIN will be a bit behind the market price so I don't think I would be over paying. outside of being a upgrade he is Brazilian to links to likes of Alves who would get the link to Marqinhos, Marcelo, Fabinho, Fernandinho. Fred and Allan. I think Zaha was my most regretted push last year but we where surrounded by TOTS cards within a month Lucas will be a valuable sub at least for 3 months minimum. I cannot report of the club finances until a decision is made on this so I know who I can and cannot sell but with the OTW and 2x In form we have a minimum of 30k after we did him excluding sales. 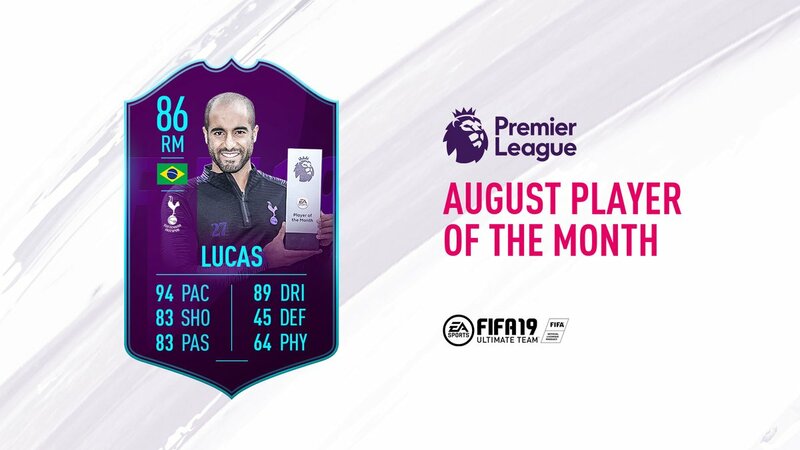 Should we do the LUCAS POTM? In all honesty them packs aren’t too bad - could’ve done a lot worse than that!! The best pull was 4 packs in from a premium gold pack that’s the sad bit. Doing wonders for me so far. With Hulk there, Lucas is a no-brainer IMHO. Also, those are some upgrades on his shooting & passing! voted, reluctantly voted to have the Spurs player in and voted to take coins but keep the top 5 leagues. team is coming along nicely and it's only "week 2" (technically full release was today). Arsenal legend as number one what more do you want? I did Lucas straight away. He's seriously phenomenal. He reminds me of Butragueno from a few years ago. He is so silky smooth on the ball and turns instantly. Finishing is great too! A taste of Brazil is what Lucas said he will bring to the club a successful month at has previous club has forced the clubs hand into signing the winger. He links up with fellow new signings Cech and Clyne as the club look to improve on field results. Matip has signed for the club the Cameroon international said watching his former Liverpool team mate play tempted him to join the club. Fans filled the stadium as they came to see there new signings and what a game they witnessed. Falling 2-0 down in under 10 minutes it do not look good for the new shaped team but a opportunistic Oxe had the team level by the 24th minute. Both times latching onto a spill by the opposite keeper to tap home into the empty net, there was still time for Lucas to grab his first goals for the club before the half was up. Tapping home a low cross then bending in a fantastic strike from outside the box, in between them strikes Josh King got in on the act with a low driven shot from inside he box. The teams seemingly tired from the first half played out a rather boring second half with the highlight being the Oxe grabbing his hat trick following a slick team move scoring his third open goal of the game. i think thats all the start of FIFA Hype updates done so unless a SBC drops I will do the next update Thursday with my progress in the week but feel free to talk about what we can do in the future obviously there is a lot of games this year with div rivals so I am going to have to think of a new format to post it in. @Cadey 5 Sorry Scholesy, but Best is getting his own RTG now... EL Beatle is back. @Cadey 5 Team looks good! Why is Scholesy so low compared to Lampard and Gerrard?! Ok I lied one last update I have been doing the SBCS where I can without it costing too much and from the Man City one we packed our first proper walk out! Question is sell or keep? David Silva to stay or go? Also what should I do with my draft token? I am in division 5 with 1300 skill points so not great! so not sure risking online is a good idea. 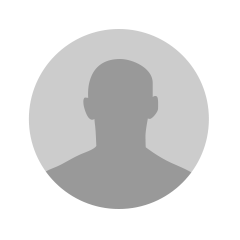 Draft token online or offline? Online...struggle like the rest of us!